Mira Costa teams continued to have success in the pool and on the court with both teams advancing to CIF-Southern Section semifinal rounds. The third-seeded Mustang’s boys water polo team defeated Redlands East Valley 8-4 behind the strong play of Tony Gleason of Hudson Carter and a ferocious defense led by goalie Garrett Allen. Mira Costa (20-8) advanced to Wednesday’s Division 2 semifinal contest at second-seeded Dana Hills (20-11). The game will be played at 5 p.m. at Irvine High School. A victory would advance the winner to the finals on Saturday when it will face the winner between No. 8 Foothill and No. 4 Corona del Mar at William Woollett Jr. Aquatics Center in Irvine. Redondo (17-11) was edged by San Marcos 8-7 in a second round loss. Ethan Igloi led the Sea Hawks with three goals and Alex Wrightsman recorded two goals in the loss. 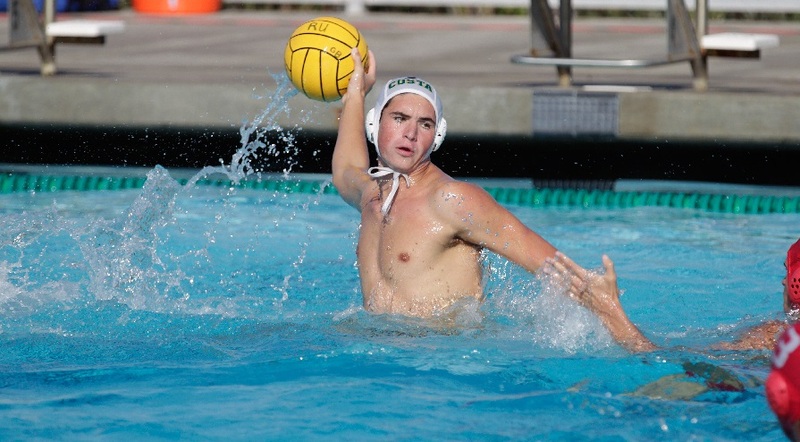 Mira Costa (15-8) defeated top-seeded Cate, then Santa Monica, by identical 14-4 scores before winning a 12-6 contest over host Marlborough in a Division 1 quarterfinal contest on Monday. The Mustangs advance to host Westlake (18-1) in the semifinals on Wednesday. The winner advances to Friday’s finals at the Claremont Club where they will face the Dana Hills-Troy winner. In Division 4, Bishop Montgomery (17-0) plays at Temescal Canyon (14-5) in the semifinals on Wednesday. The victor will take on the El Toro-Culver City winner for the championship on Friday.